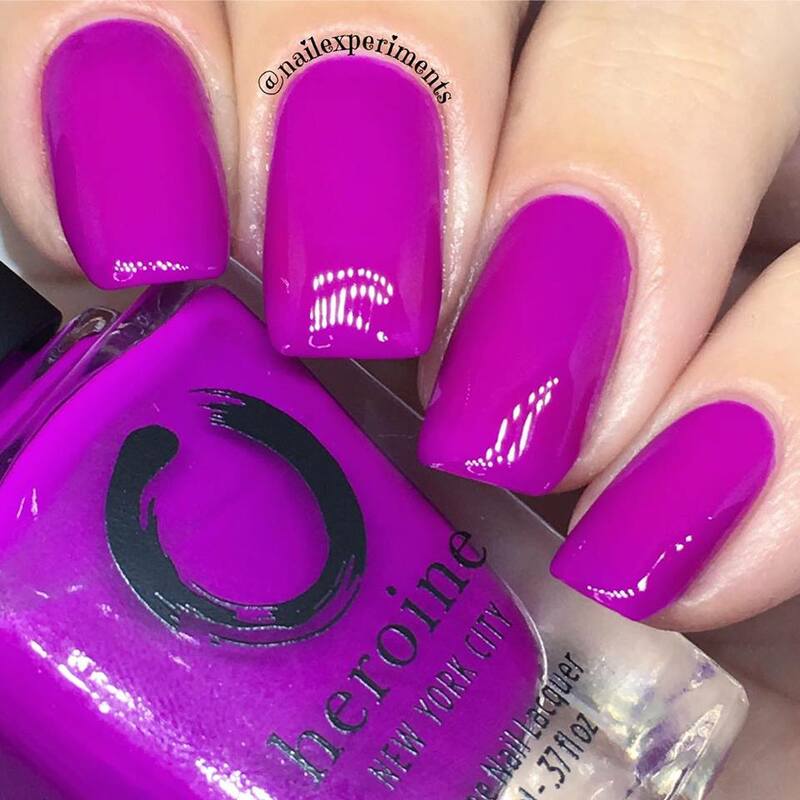 I was overjoyed upon receiving a generous blogger package from Heroine NYC and can't wait to share swatches of these polishes. I received 7 creme polishes, 2 glitter polishes, topcoat and their cuticle oil. Heroine NYC is proud to offer 5 free polish, which means the polish does not contain Formaldehyde, Formaldehyde Resin, Tuolene, DBP (Dibutyl Phthalate) and Camphor. 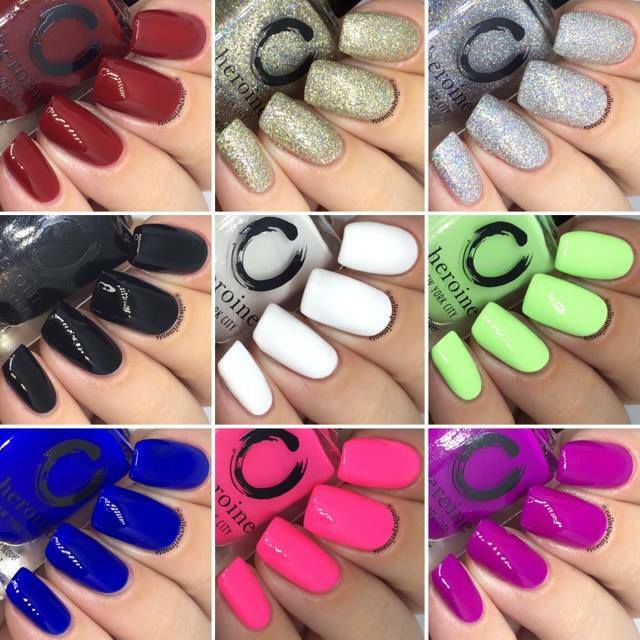 Alone with providing 5 free polishes, the polishes are non toxic, cruelty free and vegan! 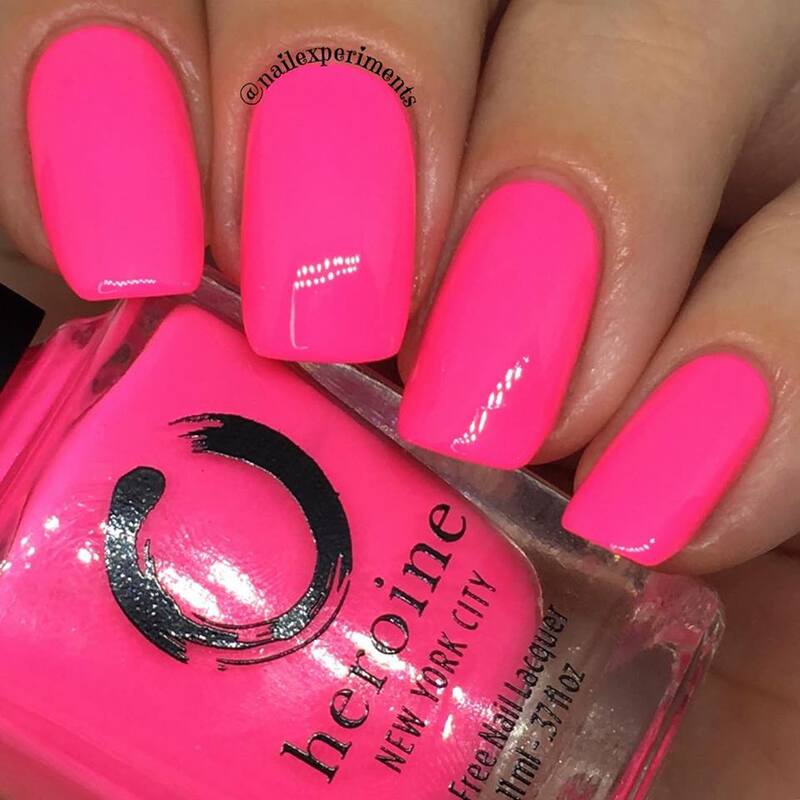 With every purchase, Heroine NYC will donate part of the proceeds to a charity - always! They keep everyone up to date via their blog, available through their website about which charities they've donated too. Red, its a classic and forever will be. 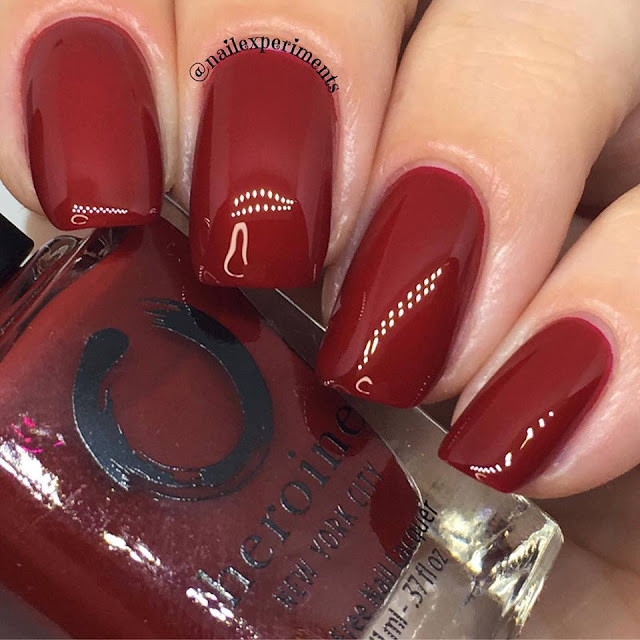 I feel every girl needs that perfect red creme polish and this definitely rings in the classy vibes. This was applied in 2 easy coats and sealed with their topcoat. I can picture it now .. little black dress, red lipstick and red polish .. vavavoom! 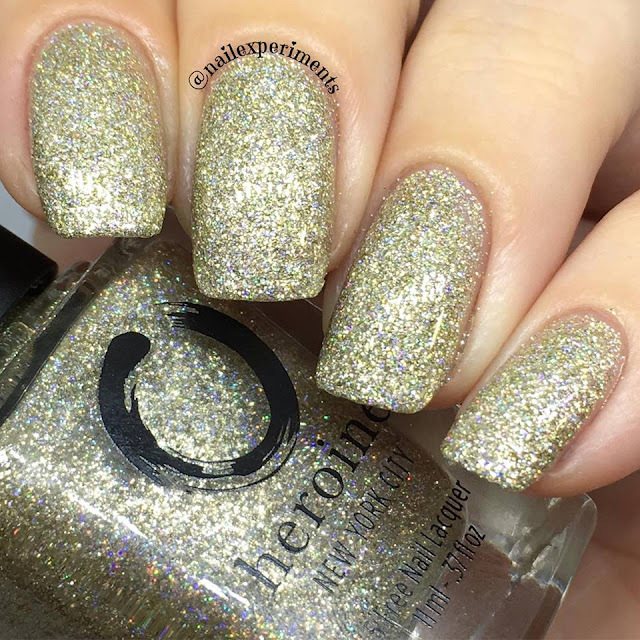 This cooler toned gold holographic glitter polish is perfect for a girls night out. I brushed on my 1st coat and followed with a sponged on layer for uptime opacity. I'm not a fan of a textured finish, so I sealed in with their topcoat. 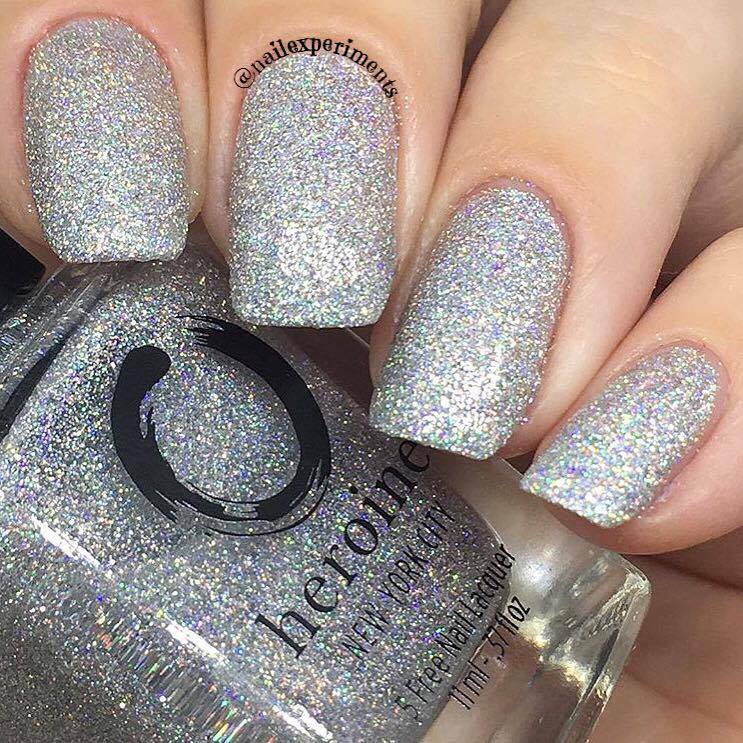 Go from drab to fab with this gorgeous silver holographic glitter polish! I brushed on my 1st coat and followed with a sponged on layer for uptime opacity. I'm not a fan of a textured finish, so I sealed in with their topcoat. 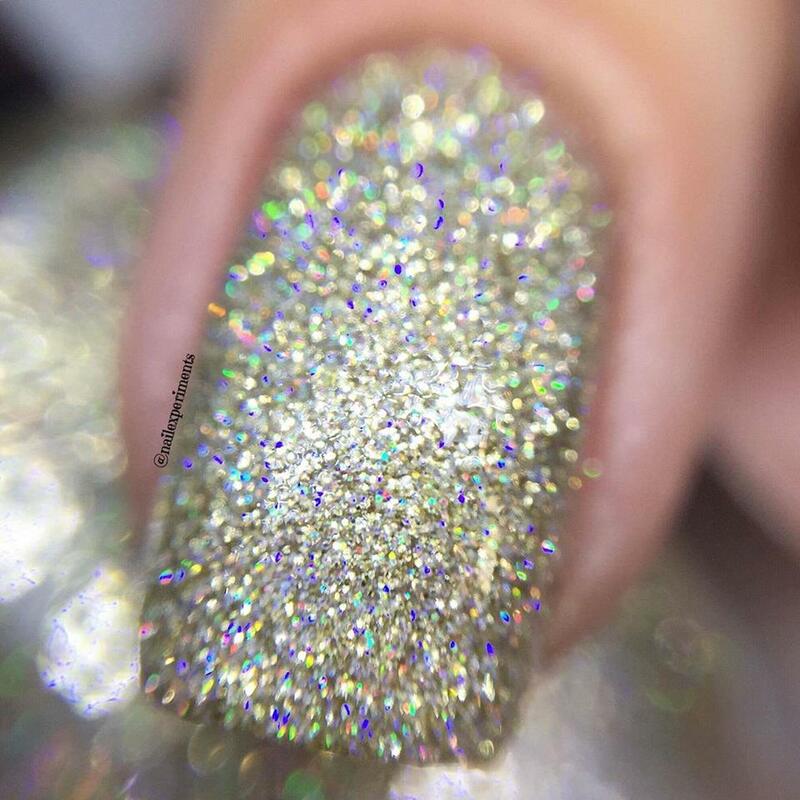 The sparkle of this polish was hard to capture and I was able to capture it best in the macro shot. This pitch black creme is sure to make a bold statement! 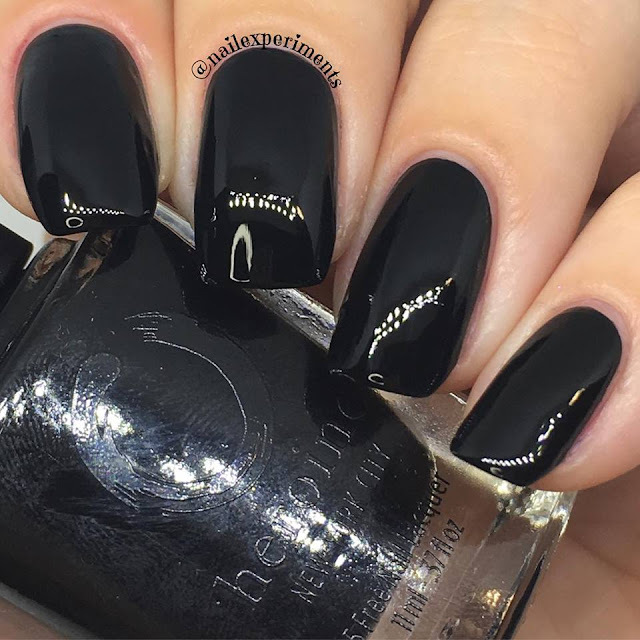 This was applied in 2 creamy smooth coats and paired with their topcoat. This was actually very opaque in just 1 coat, but I always apply 2 coats for good measure. 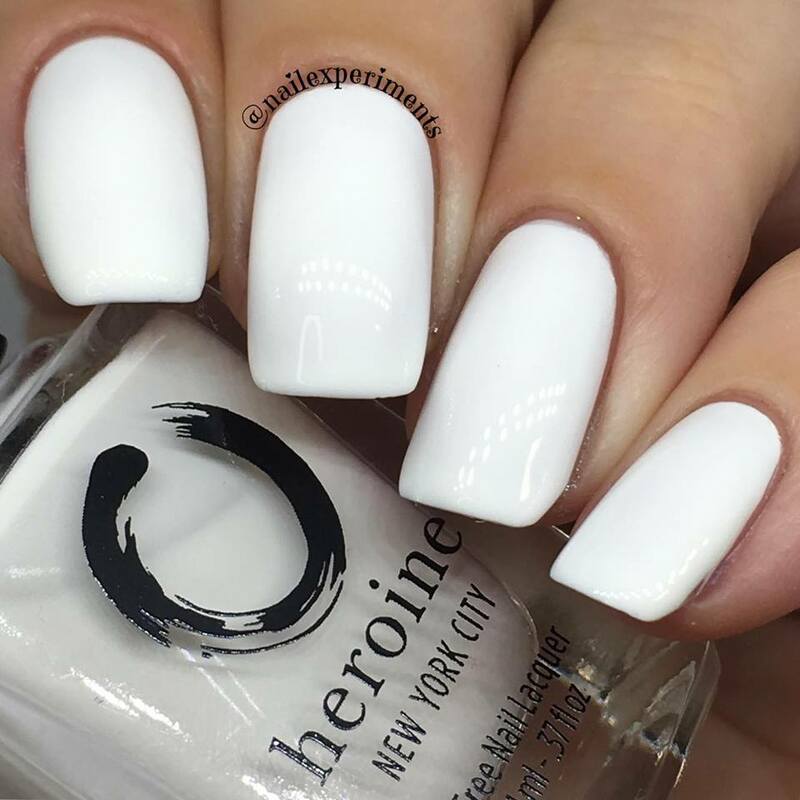 This creamy white makes for the perfect blank canvass to work on, or rock it all on its own! This was applied in 2 easy creamy coats and sealed with their topcoat. 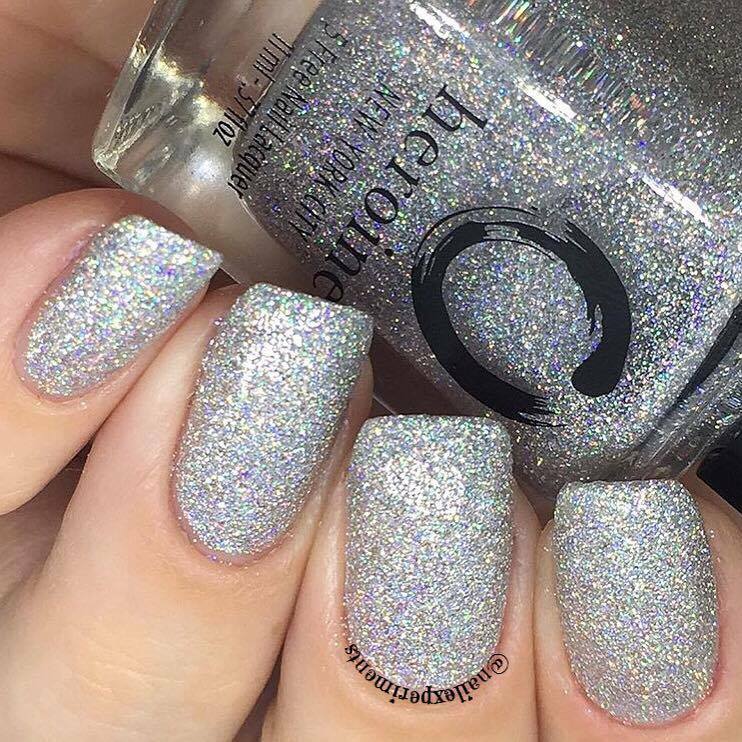 The formula in this reminded me a lot of Lights Out being almost opaque in 1 coat. This bright neon pastel lime green is sure to bring life to the party! 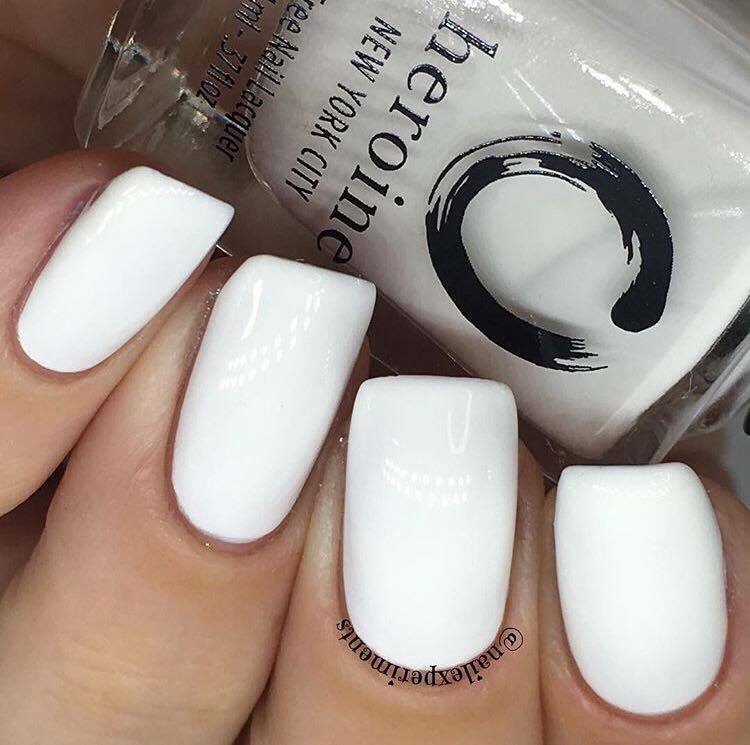 This was applied in 2 easy smooth creamy coats and paired with their topcoat. 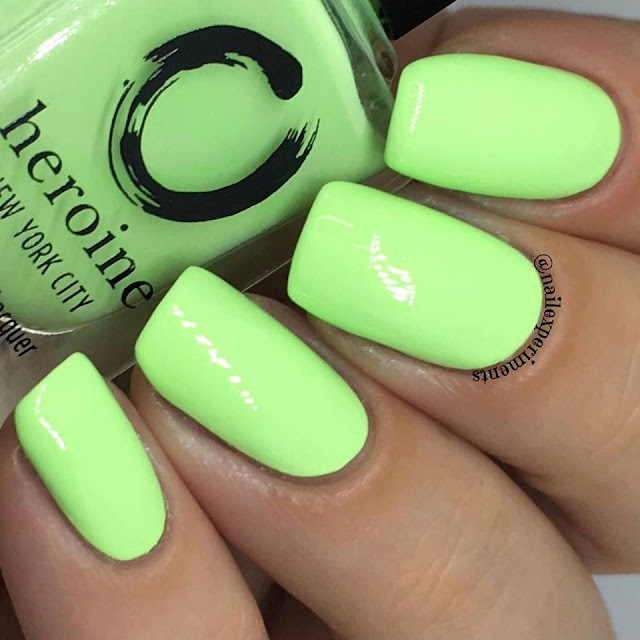 This colour is so vibrant and love the formula paired with it. 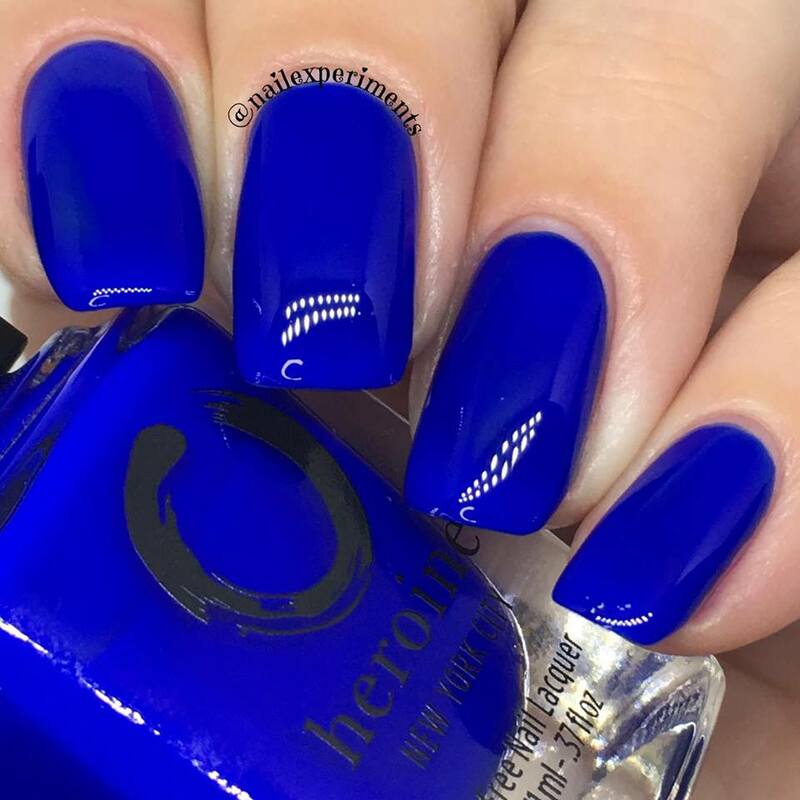 This is actually one of my favourite summer shades and it's great to have it in a formula that applies exceptionally well! 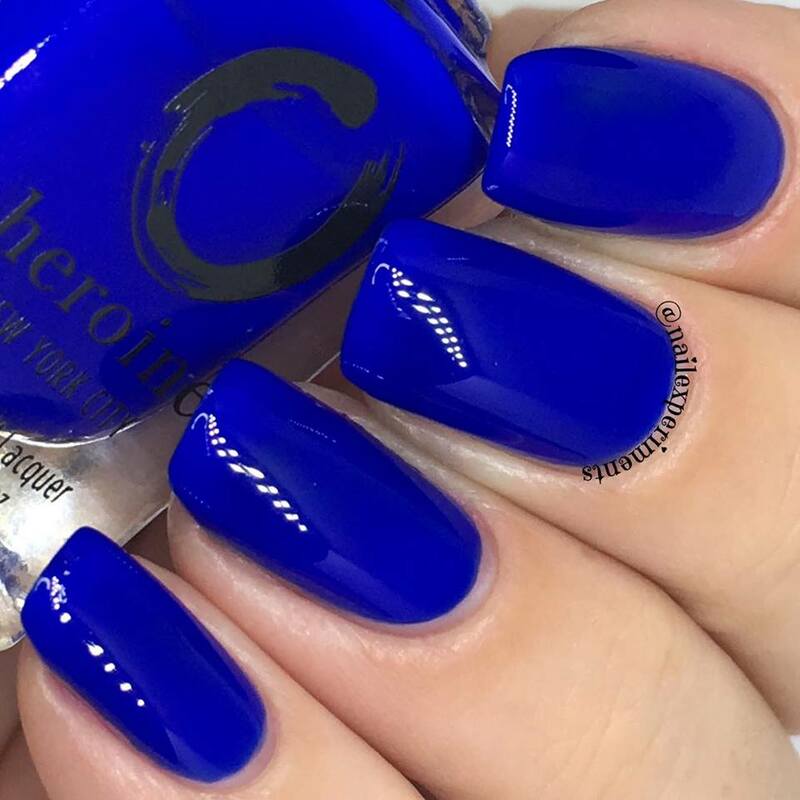 This royal deep blue shade is a fun pop of colour without being over the top! 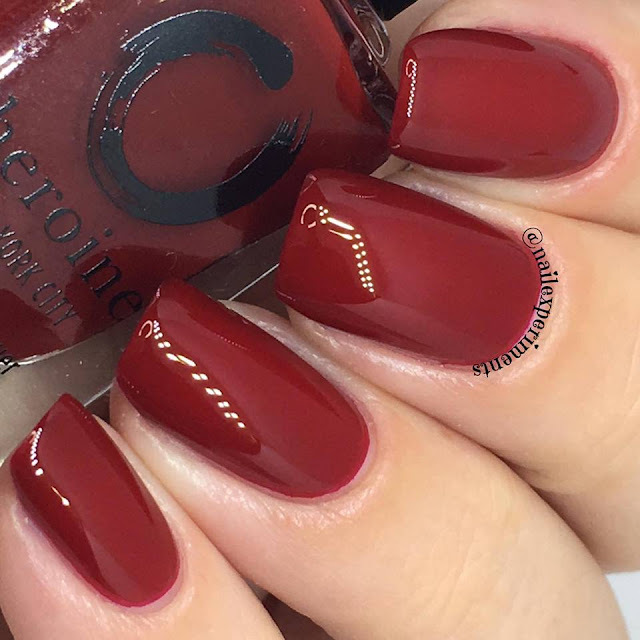 I applied this in 2 easy coats and paired it with their topcoat. 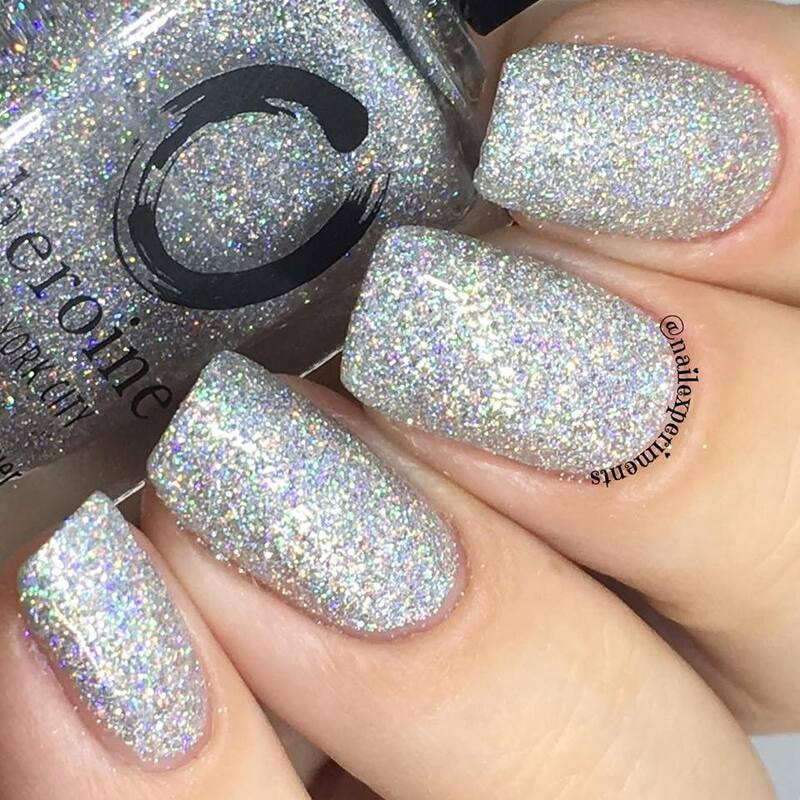 The formula on this is a mix between a jelly and a cream but still allowed for an opaque finish in 2 coats. I adore royal blue's like this and find it adds such eye catching contrast against my fair complexion. 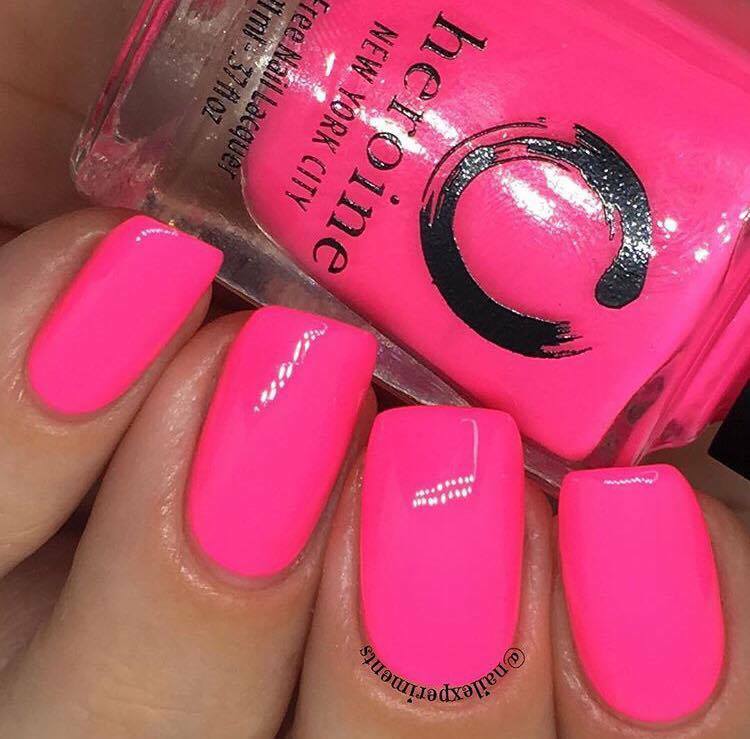 Fire up you're Glen Coco and wear pink on Wednesdays with this vivid neon pink! 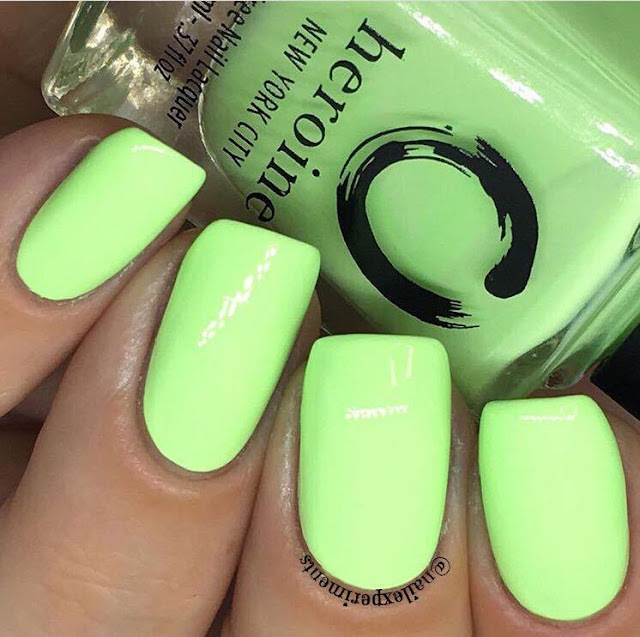 I applied this in 2 easy smooth creamy coats and paired it with their topcoat. 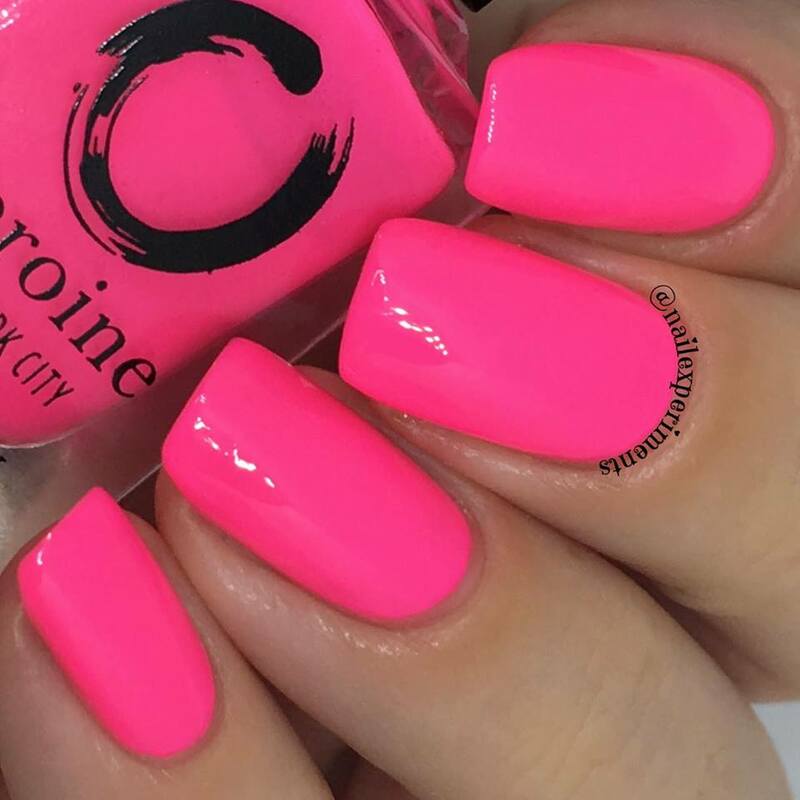 This is such a vivid neon pink can see me rocking this on my toes for a hot summers day! 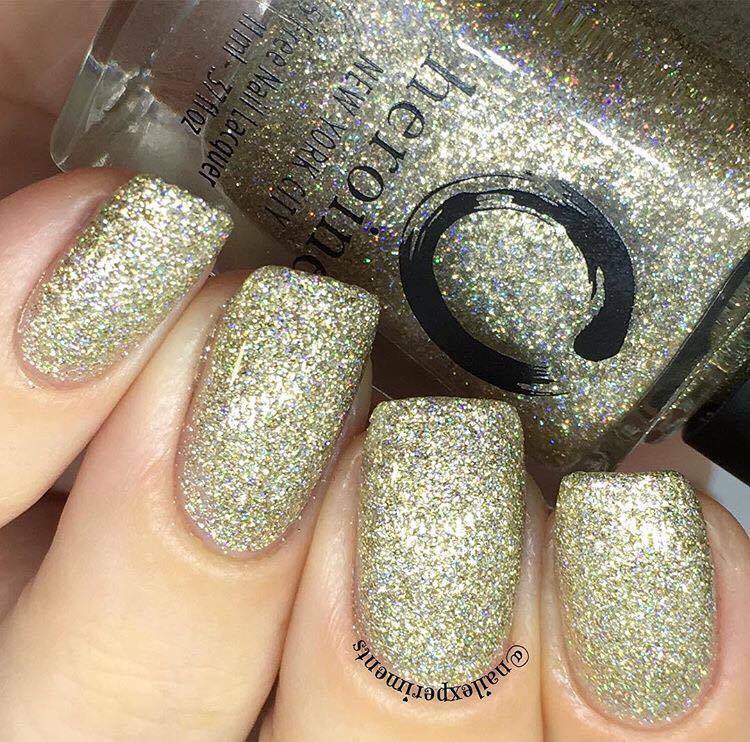 I applied this in 2 easy creamy smooth coats and paired it with their topcoat. As mentioned in each polish blurb, I paired this topcoat with each swatch. 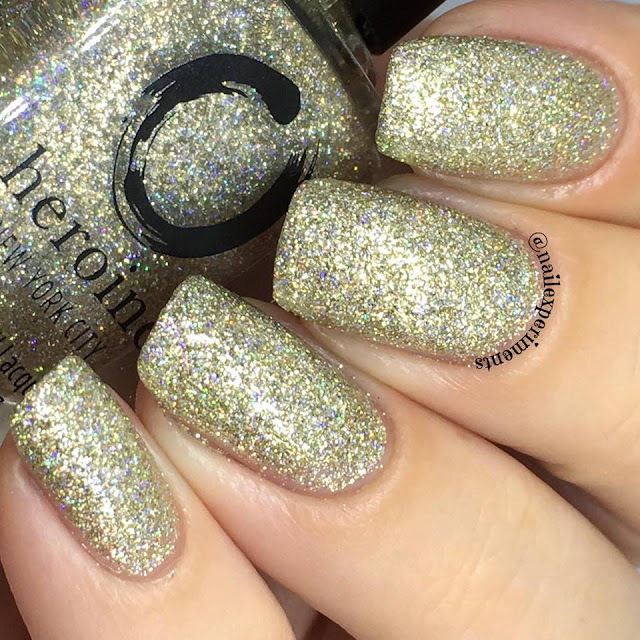 It left my nails with an incredible high shine and also dried down conveniently quick. Side note: Allow base polish to dry for a few minutes before applying as the topcoat can create streaks to the base. I experienced this in my first application due to me applying topcoat promptly after polish application. During my second application, I allowed the base to dry for a few minutes and had zero issues with streaking. 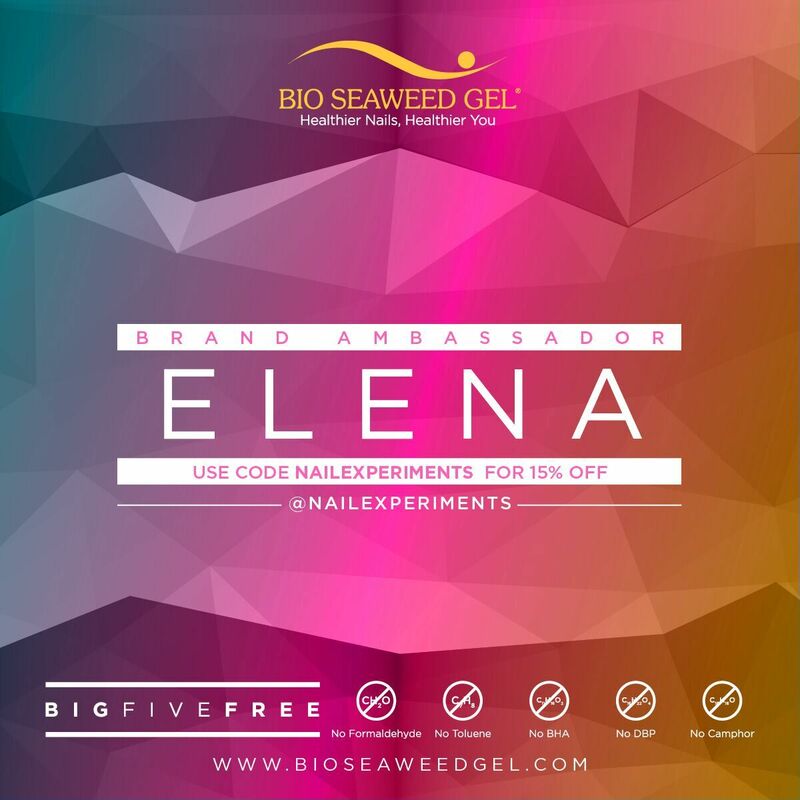 This cuticle oil offers a sponge doe foot applicator, which is actually a first for me and really enjoyed it. However, I did find the formula to take a while to fully absorb into the skin and would prefer something quicker absorbing, especially for when I'm on the go. I was unable to detect any scent but the website states it has a very slight pomegranate scent. 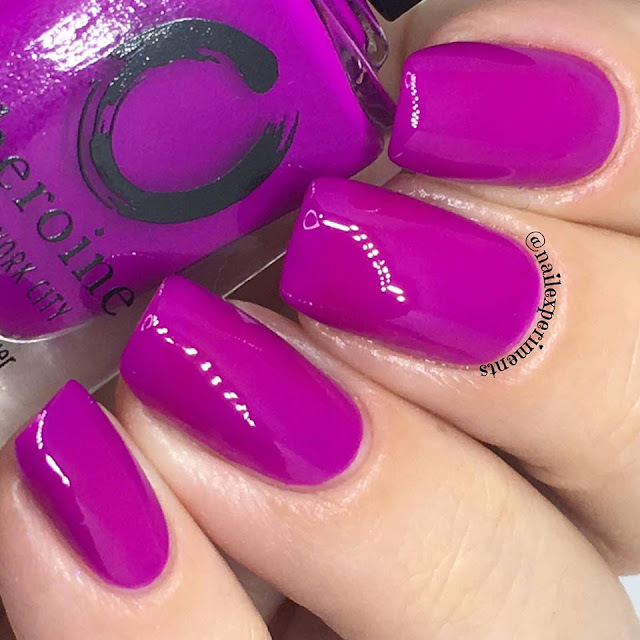 Having a slight scent is great for people whom are sensitive to strong scents but it would equally be nice to allow options for s stronger scent for people who prefer a stronger scented cuticle oil. It did leave my skin feeling supple and soft. 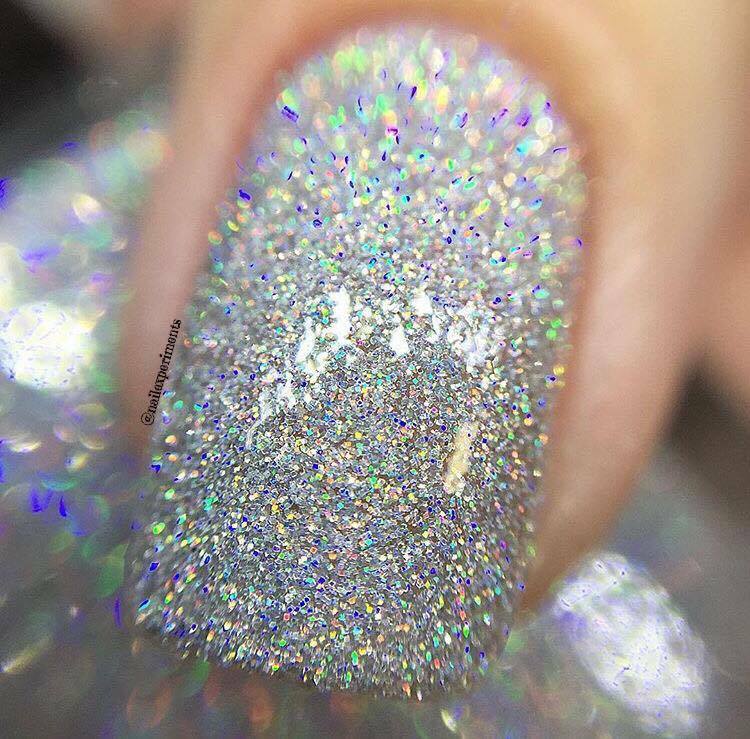 I know that was perhaps a lot to go through, but cmon, aren't these polishes stunning? I love the variety of classics vs bright fun pops of colour! Lights Out and White Noise will both definitely become a staple, as I go through white and black like no ones business. If I had to pick my favourite polish, I would have to hands down go with Sublime! 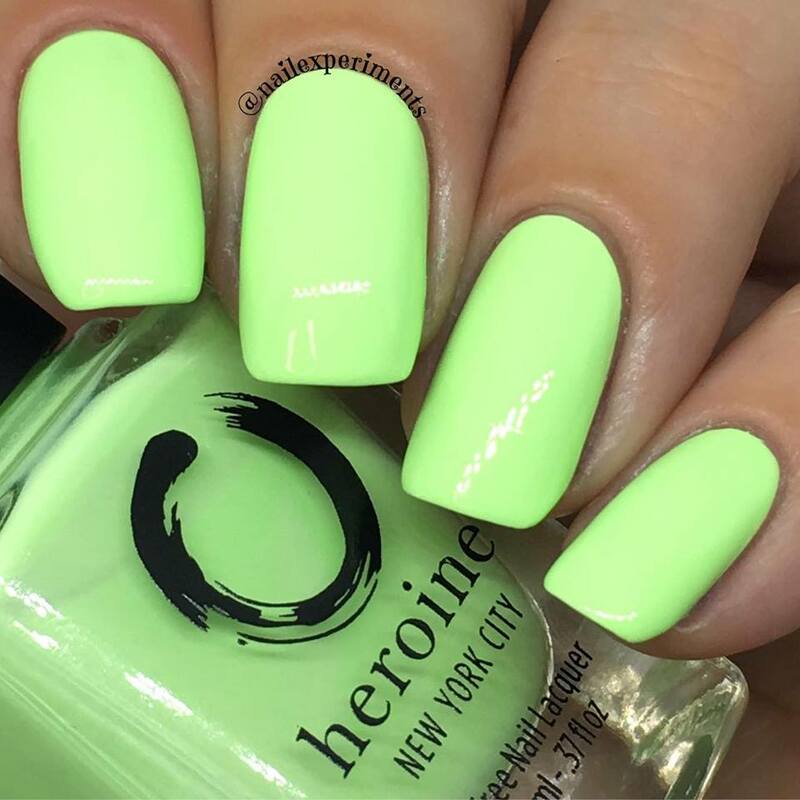 That neon pastel lime green is drop dead stunning and would pop even more on someone with a tan or on a darker complexion. 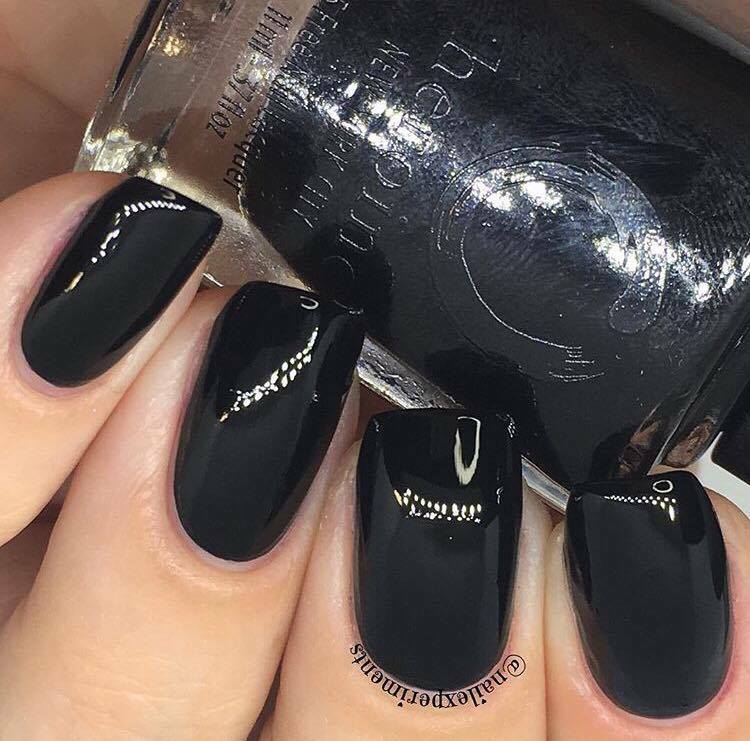 Each polish applied smooth, creamy and with zero issues. I was able to achieve such a vibrant finish without the use of a white underboss, which is surprising with some of those neon shades. 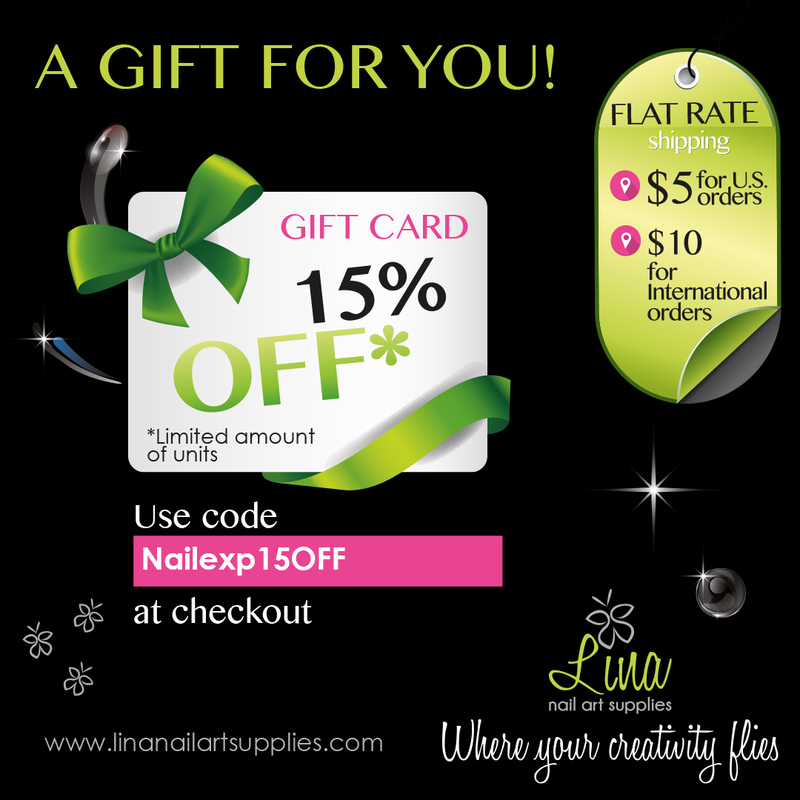 I appreciate the peace of mind this brand allows me to have knowing they offer vegan and cruelty free nail polishes and of course the 5 free formula! Sublime is just so amazing!! 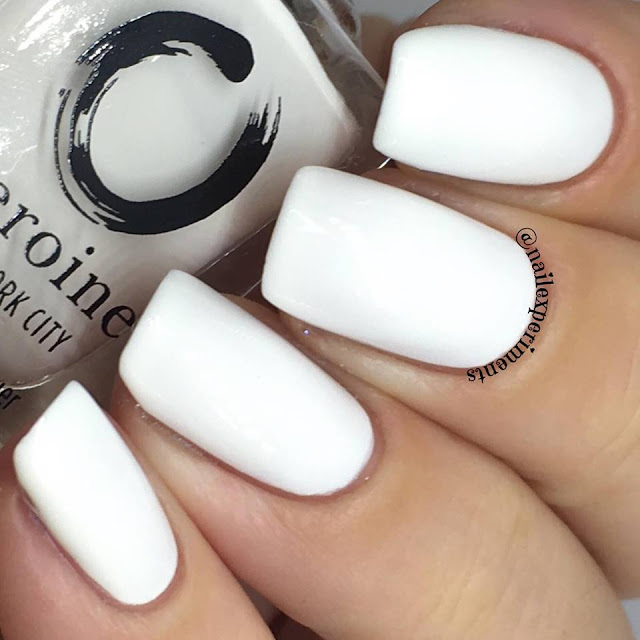 And I love a good white creme since I use it all the time. Ohh! These are lovely! I especially love the last four bright ones. Perfect for spring! 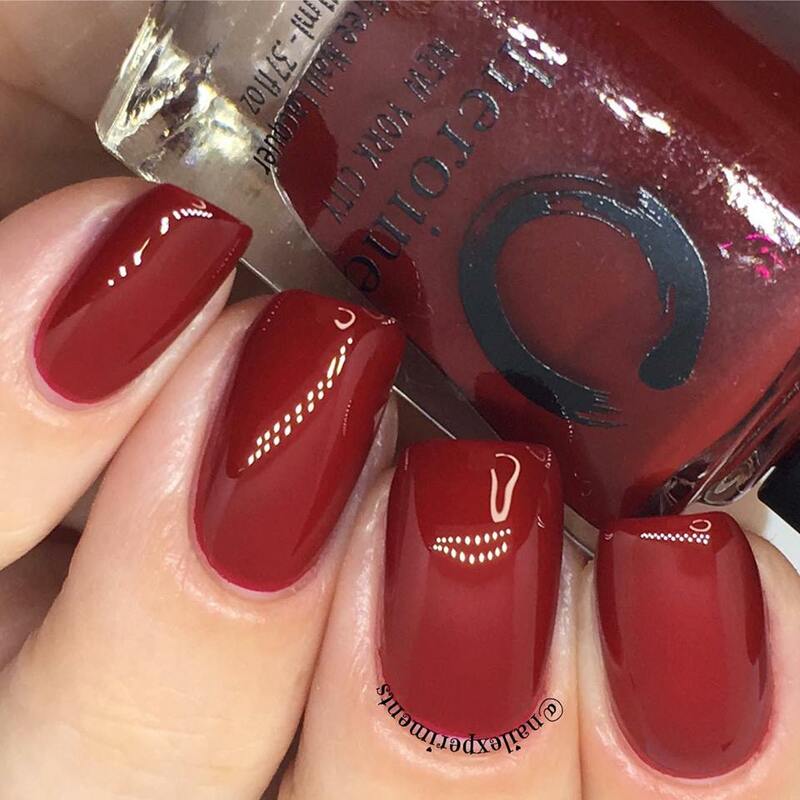 Is the topcoat a quick dry? The shine on it looks amazing. I was going bonkers over that red, but then the pink popped up. These are gorgeous! 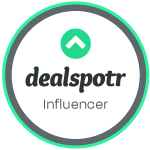 Definitely a brand I need to look into. 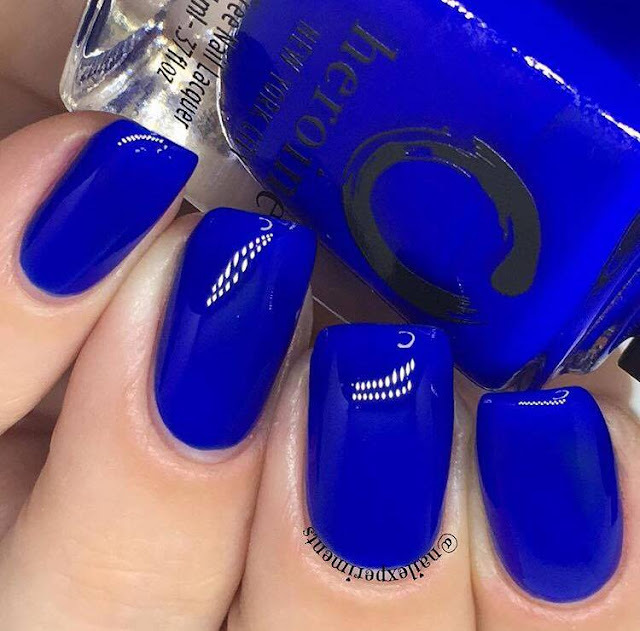 The royal blue wins the day for me! 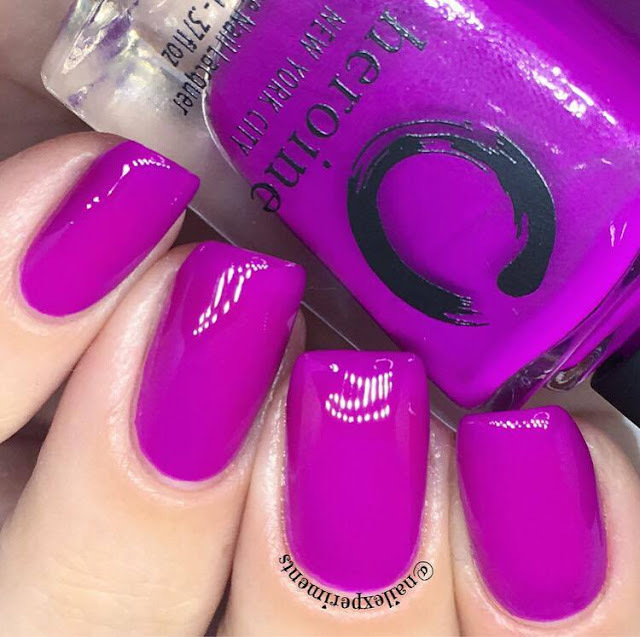 There are so many gorgeous polishes here!